we were served slightly stale Britannia biscuits. 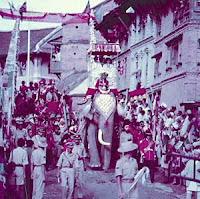 The maha and long gone out of the raja. elected for a five year tenure. The Buddha had an entirely different and more realistic concept of kings and kin gship. In the Agganna Sutta he posited a social contract theory of monarchy. something and punish anyone who disagrees with it’ (Mil.28-9). jealousies and temptations (A.V, 81). religions and each claimed him as one of their followers. 35 years and was eventually murdered by his son Udayibhadda. yesterday, he would want to be careful. Aggañña Sutta is the 27th Sutta of the Digha Nikaya collection. The sutta describes a discourse imparted by the Buddha to two brahmins, Bharadvaja and Vasettha, who left their family and caste to become monks. The two brahmins are insulted and maligned by their own caste for their intention to become members of the Sangha. castes can become a monk and reach the state of Arahant. Then, he explains about the beginning of the Earth and the birth of social order and its structure, including the castes. The Buddha emphasizes the message of universality in the Dhamma and how the Dhamma is the best of all things. result from their own deeds. Vessa, and Sudda) might be. their deeds, no matter what their caste might be. best among others based on Truth (Dhamma). and serve him with respect. Pasenadi reveres, praises, and serves the Buddha with utmost respect. reveres Dhamma, and obeys Dhamma, therefore he bows and praises the Tathagatha. In the second part of the Sutta, the Buddha tells the story of how human beings came to dwell on Earth. or later, after a very long period, this world begins to expand again. air, glorious — and they stay like that for a very long time. or female or male. The creatures were only known as creatures. a greedy nature began to dive and taste the savory Earth’s substance. At that moment, the creature found out that it tasted so delicious. feed on it for a very long time. details began to turn finer. the ugly and they became arrogant because of their appearance. Then, after the turnips, the earth was grown with rice plants. The first rice plants were without husk and kernels. nurse, maintain, harvest, and cook in order to obtain the white rice. By this time, the body of the creatures had become finely evolved. people began to divide lands and tend each other’s cluster of rice fief. indeed the best of all things. who meditated’ were called ‘Jhayanti’ or ‘Jhayaka’. Among the people who had settled and had family, some began to adopt various trades. Live By The Chase’ . Dhamma and not by others. who left their lay life and became an ascetic. their death, they would end in the realm of happiness and heaven. (stains/dust/dirt/filth) of mind in this current life. Truth (Dharma) and not from the basis of not Truth (adhamma). The Buddha quoted the verses of Brahma Sandakumara: “The Khattiya is the best among those who maintain their lineage; He with knowledge and conduct is best of gods and men.“ then, the Buddha asserted that the verse is indeed true, according to the Dhamma, profitable, and true. Thus the discourse ended with Vasettha and Bharadvaja rejoicing in hearing the words of Buddha. where one must see and prove it before one believes it (ehipassiko). command as some theories stated. based on Truth and not from something other. According to Richard Gombrich, the sutta gives strong evidence that it was conceived entirely as a satire of brahminical claims regarding the divine nature of the caste system, showing that it is nothing but a human convention. According to Gombrich, the Buddha satirizes the Vedic “Hymn of the Cosmic Man” and etymologizes “reciter of the Veda” so as to make it mean “non-meditator” instead. Not all scholars agree with Gombrich interpretation and his view is not unanimous. Exploring the political implications of the Tipitaka (Pali Canon) and Buddhist belief. Ven. 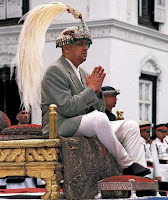 Shravasti Dhammika has posted an excellent article about Buddhism and government, inspired by the recent dethroning of King Gayanendra of Nepal. Europe this doctrine came to be known as ‘the divine right of kings’. they thought would be best able to rule them. influence in making kings more humane. government, no matter what, even if democracy ceases to exist. Amendment since this right is used as part of the justification for it. some non-violent way of revolting. they resorted to violence, check out the Declaration of Independence. that way. Just try to imagine a non-violent revolt in North Korea. Anyone trying to non-violently revolt would just be shot. The world is a rather violent place whether it should be or not. the king’s good deeds, etc. his autocracy and Cromwell used it to justify cutting Charles’ head off. or what the current thinking is. trickles down to the entire society. is different: Caste emerges as a compelling factor in poll-bound Karnataka. 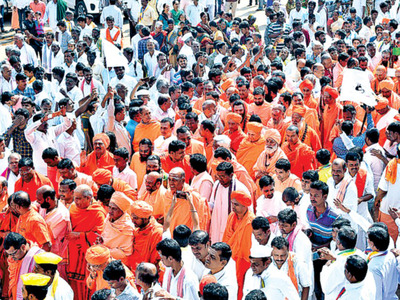 JD(S) had 41 Lingayats and 55 Vokkaligas in the fray. THE ONLY ALTERNATE AND HOPE OF THE NATION IS ELEPHANT OF BSP! ಬಿಎಸ್ಪಿ ಆನೆ ಐಚ್ಛಿಕ ಮತ್ತು ರಾಷ್ಟ್ರದ ಮಾತ್ರ ಭರವಸೆ ಹೊಂದಿದೆ! ಜನರು ಕೇವಲ ಕಾಂಗ್ರೆಸ್ , ಇತರ ಪ್ರಾದೇಶಿಕ ಪಕ್ಷಗಳು ಮತ್ತು ಬಿಜೆಪಿ ಜೊತೆ ನೀಡಲಾಗುತ್ತದೆ ! ಈ ಸಮಾಜದಲ್ಲಿ ಜಾಗೃತಿ ಜಾಗೃತಗೊಳಿಸುವ ಸೇವೆ! ಅವರ ಕಲ್ಯಾಣ , ಸಂತೋಷ ಮತ್ತು ಶಾಂತಿ ! ಶಾಶ್ವತ ಪರಮಾನಂದದ ಸಾಧಿಸಲು ಅಂತಿಮ ಗುರಿ ! బిఎస్పి ఏనుగు ఐచ్ఛిక మరియు దేశం యొక్క మాత్రమే ఆశ ఉంది! ప్రజలు కేవలం కాంగ్రెస్ , ఇతర ప్రాంతీయ పార్టీలు బిజెపి విసుగు ! ఈ సమాజంలో అవగాహన మేలుకొల్పగలతాయనీ సర్వ్! వారి సంక్షేమం , ఆనందం మరియు శాంతి ! నిత్యమైన ఆశీర్వాదం సాధించే అంతిమ లక్ష్యం ! صرف متبادل اور قوم کی امید بی ایس پی کے ہاتھی ہے ! لوگوں کو صرف تنگ آ کے ساتھ کانگریس ، دیگر علاقائی پارٹیوں اور بی جے پی ہیں ! اس لئے ماسٹر کلید پر قبضہ کرنے کے لئے ! ان سرو سماج میں بیداری کے ساتھ بیداری کے لئے ہے ! ان کی بہبود ، خوشی اور امن کے لئے ! ابدی خوشی حاصل کرنے کے لئے حتمی مقصد ! other people into their fold. Punjab, made him refrain from converting to that religion. the partition brewing he did want to antagonize the situation. system based on past life karma, this he did not agree with. later after studying Buddhism did his resolve grow stronger. Murderer of democratic insitutions (Modi) exposed:challenging the myths surrounding the RSS’s BJP’s Gujarat Chief Minister A Hindutva Cult Fascist. is just a Bakara (scape goat led to the bali peet) in the RSS’s BJP. attain Happiness, Welfare, Peace Eternal Bliss as their Final Goal. exposed:challenging the myths surrounding the RSS’s BJP’s Gujarat Chief Minister A Hindutva Cult Fascist. discriminated people of the world who became the untouchables and unseeables. as enshrined in the Constitution. an international tribunal to try the “genocide” in Gujarat. What are Murderer of democratic institutions (Modi)’s biggest corruption scandals? What are Modi’s biggest corruption scandals? Issuing process by a court means the particular case is “triable” and it has taken cognizance of the case. matter was posted for hearing on September 19. The other accused are senior officials of the fisheries. May 2014 and since then the matter was pending. Neither Solanki nor Sanghani replied to repeated phone calls for comment. contracts granted by the minister. While, Maradia had claimed the total loss to the exchequer was Rs 400 crore in the past 10 years, but the ACB report differed. decision in the High Court, but its arguments were rejected. contractors, before filing the report. Rural Development Agency (DRDA) to distribute wheat. money, which was used to purchase rice instead of wheat. officials, was done without their consultation. wheat were distributed at the rate of Rs 5.05 for every kg. but did not receive convincing reply. be close to BJP leader Venkaiah Naidu. Ahmedabad. The company has been allotted 25,724 square metre land. inviting any tenders; bidders were ready to pay Rs25 lakh per lake. Land given to L&TLarson & Toubro (L&T) was allotted 80 hectare land at Hazira at the rate of Re1 per square metre. who had signed MoUs in the five editions of VGGIS. whereas the market rate is just Rs120 to Rs140 per 5 kg. were violated, causing the state exchequer a loss of Rs92 crore. hired for a higher fee, above profit-sharing. Indigold Refinery land scamAround 36.25 acre farmland in Kutch district was purchased and sold in violation of all norms by Indigold Refinery Ltd.
Swan Energy49% of the shares of Pipavav Power Station of GSPC were sold to Swan Energy without inviting any tenders. for Rs 900 to It’s Tata Group to score a Jackpot of Rs .33,000 crore . profits .This is Illegal sales . 3.76 lakh square mtr was sold .When a nearby Air Force land was asked It is said it will be sold at Rs .1100 /sqm. lodge. The Gujarat state incurred a loss of Rs . 426 Crore . Venkaiah Naidu supports Modi ? Court ruling this is illegal. Hotel group. For this no tenders were sought. 8. In 38 largest lakes were given to a few Fishing rights without tenders. Just for Rs.1 / -mtr i.e for 10paise /sq.ft. was gifted. 13. To start GSPC company Gujarat government invested Rs. 4993.50 Crore. So far income is just Rs. 290 Crore. 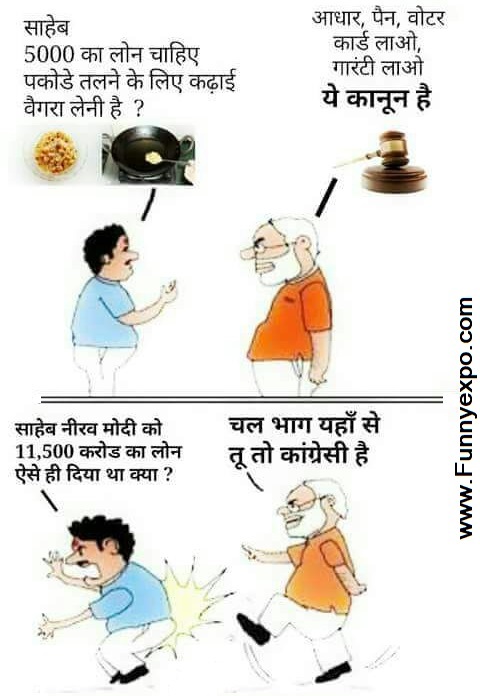 Many crores loss per year. ulterior ideas would ride on them. Profits. So far no action was taken against the company. in Gujarat Lokpal System will soon be Known by the people. India (CAG) over the past five-six years is still unknown to the nation. sector corporation, had discovered India’s biggest gas reserves in the deep waters of the Krishna Godavari (KG) river basin. KG basin. Yes, zero. Why? Because there is no gas there. GSPC spent Rs. did, as the below sequence of events show. was finalised to extract the supposed gas from the KG river basin? in expenses to Tuff Drilling and other such entities. A total of Rs. is lower than cost price? Now, where did GSPC get all its money from? that borrowed money for no apparent business purposes. Corporate Affairs, and so on. This scam, and there is no other word to describe it, is a matter fit for an inquiry by a sitting Supreme Court judge. Jairam Ramesh is a Congress Rajya Sabha MP. corruption and promised to take action. Do you see any action. NONE. Reason is simple. You scratch my back and I yours. 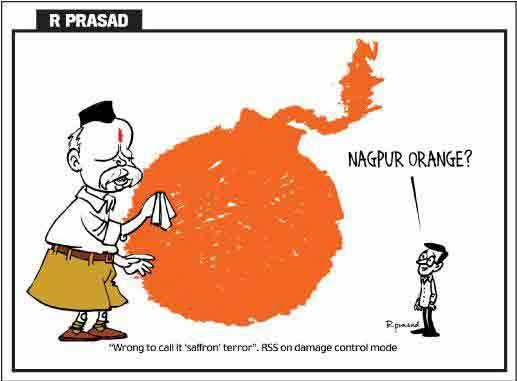 kshatriyas highly corrupt, incapable and security risk RSS’s BJP cult. magazines and media since they are misused by RSS’s BJP. jurists, on genocide in Gujarat. senior ministers and political parties called for an investigation. results. “For a price, the prediction of seats tally can be changed to suit the interests of political parties. posed as consultants for political parties. polls conducted by C-Voter, pending an explanation from the agency. Congress and the Aam Aadmi Party called for an investigation. seems,” said Vinod Kapri, editor in chief of News Express.